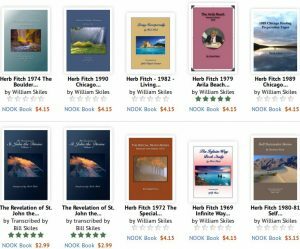 Herb Fitch’s in depth classes on – The Revelation of St. John the Divine which he gave in 1970 are now available in book form. All twenty-five tapes, some two-hundred and fifteen-thousand words have been transcribed into a beautiful two volume set which you can take to the beach, or up in the mountains, or to your favorite meditation chair to study at your convenience for a deeper spiritual understanding. Together with the audio files which are freely available on this website, they will make a wonderful addition to any library. 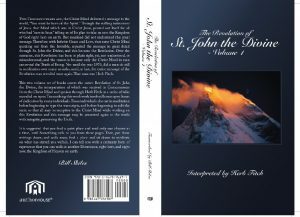 These volumes can be purchased at Barnes & Noble, Authorhouse, Amazon, Kindle, Nook Books.